The Toronto log cabin is in 44mm log thickness. It is also possible to add floor and roof insulation. 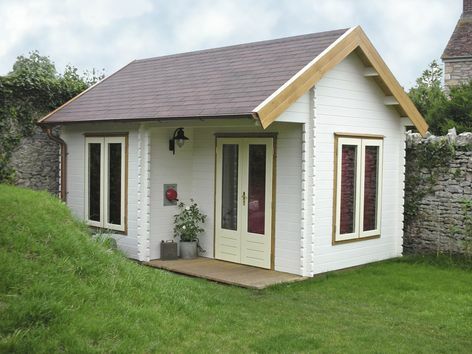 The Toronto is a 3.5 x 5.0m open space cabin with an integral canopy measuring approx. 1m x 2.5m. 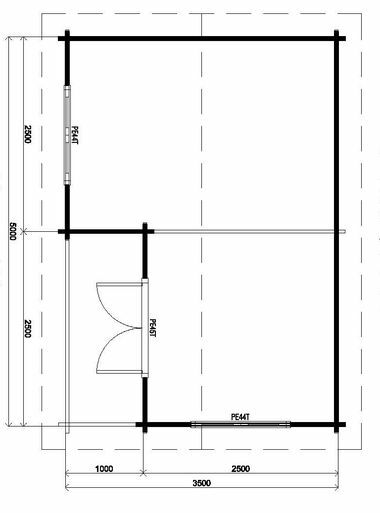 Size approximately 3.5m x 5m in 44mm log thickness. The standard package includes 1 double door PE45H and 2 casement windows PE44. Double glazing is standard. The Toronto also features a built in canopy measuring approx 1 x 2.5m.